John Conlon of Clare in action against Shane Fives and Darragh Fives of Waterford at Cusack Park. Photograph by John Kelly. What a difference a week makes. 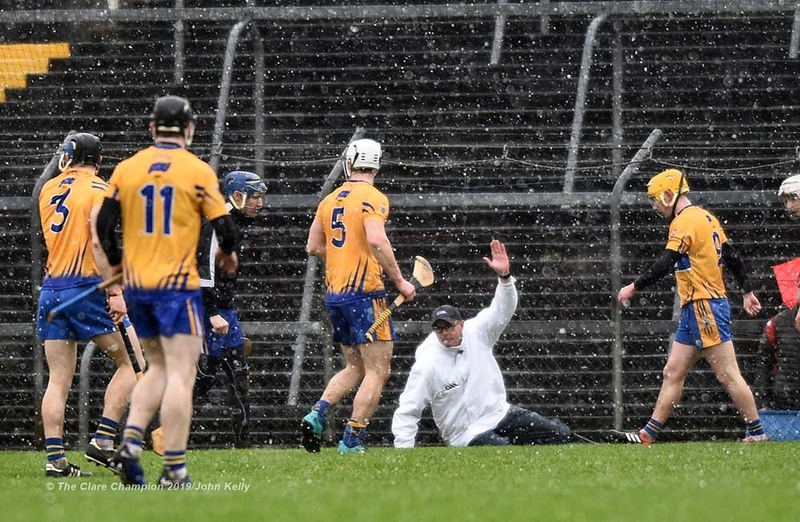 Seven days ago Clare hurling followers left Pairc Ui Caoimh disappointed having witnessed the minor and senior teams lose out to Cork in their opening games in the \Munster championship. Making those losses all the more disappointing was the fact that Clare could have won both games. This afternoon the mood was much better as Clare followers in the 13,736 crowd departed Cusack Park having witnessed the Banner sides bounce back into championship contention with merited victories over Waterford. Waterford can point to injuries to key players and the fact that they played the last twenty minutes with fourteen players following the sending off of their captain Kevin Moran as reasons for their defeat in this tie the reality is that Clare were sharper in the key areas and deserved this victory. 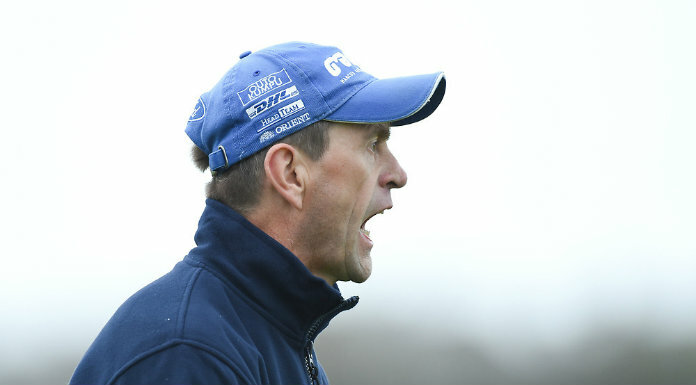 Following their first round loss to Cork a week earlier, a win was vital for the Banner outfit to keep their hopes of championship success alive. 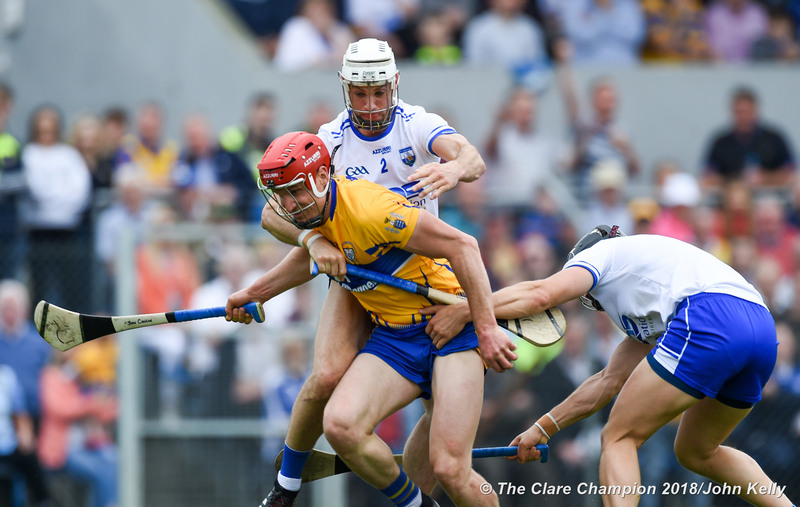 Things didn’t look good when the visitors goaled in the ninth minute and added a point a minute later to go four clear but a penalty goal for Clare at the mid point of the half rocked Waterford two minutes after they had lost the influential Tadhg de Burca with a shoulder injury. Twelve minutes from the half time whistle Clare took a lead they would hold to the finish when man of the match John Conlon goaled and four unanswered points followed as Clare opened a five point lead by half time when the score was 2-11 to 1-9. The visitors returned with Stephen Bennett and D.J. Foran in their line up in place of Noel Connors who suffered a back injury just before the first half finished, and Michael ‘Brick’ Walsh. Connors was a massive loss as he had been one of their better players in the opening half. Clare started the second half with points from Tony Kelly (2) and one from John Conlon but Waterford hit back when substitute Tommy Ryan goaled in the fifth minute after Donal Tuohy had saved the first effort. Straight from the resumption of play Clare could have had a goal but Stephen O’Keeffe saved from Colm Galvin. Waterford were dealt another blow in the fifteenth minute of the half when their captain Kevin Moran was shown a straight red card for a tackle on Tony Kelly. Six points down at the time and now down a man, their task had become much greater. Clare landed four unanswered points to open a ten point gap. To their credit, the visitors never gave up and they outscored the winners 0-7 to 0-4 over the next fifteen minutes but Clare finished strongly with points from Colm Galvin and a brace from Tony Kelly to seal a merited and comfortable victory. Subs; Colin Roche for da Burca (inj), Stephen Bennett (0-2) for Connors (inj), D.J.Foran (0-1) for Walsh; Tommy Ryan (1-1) D.fives (inj), IanKenny for Coughlan (inj). Eight players shared in Clare’s impressive tally as they proved too strong for Waterford in this minor championship game which opened proceedings at Cusack Park. Two goals in as many minutes inside the opening quarter sent Clare on their way to this win. The first came from a Keelan Guyler penalty after Mark Rodgers had been fouled and rodgers quickly followed with the second. Waterford fought back and trailed by just a goal, 1-9 to 2-9 at half time. The margin was still a goal midway through the second half but then Clare hit four in a row. Rodgers struck for his second goal at the end of normal time. Clare followers in the 13,736 crowd departed Cusack Park having witnessed the Banner sides bounce back into championship contention with merited victories over Waterford.